The original profile for finishing and protecting tiled surfaces. Can also be used in conjunction with other covering materials. Right-angled finishing profile for use with wooden floors or other rigid materials such as terrazzo. Ramped transition profile that finishes tiled surfaces and overlaps the edge of lower neighbouring floor coverings. 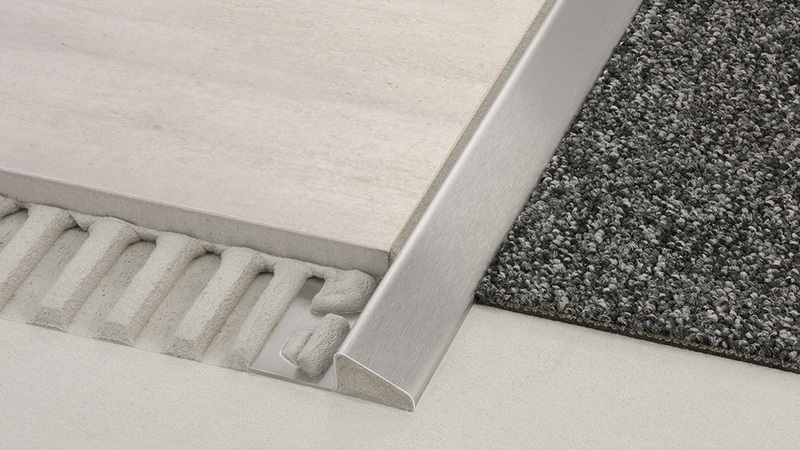 Ramped transition profile with variable transition leg for smooth joining of tiled surfaces and lower neighbouring floor coverings. Ramped transition profile that finishes tiled surfaces and abuts the edge of lower neighbouring floor coverings. Retrofit T-shaped profile to adjoin floor coverings of the same height.